The producers of In Focus with Martin Sheen are pleased to announce an upcoming report exploring how universal design concepts are being incorporated into the American home. In Focus with Martin Sheen is an independently produced television program airing on public television stations around the country. 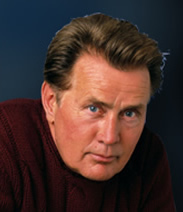 The show is hosted by the iconic American actor Martin Sheen. Mr. Sheen has a long history in the entertainment industry as well as a reputation for his philanthropy and work with charitable causes. In Focus Martin Sheenexplores advancements in society on the technological, medical and social fronts. Universal design is a concept that suggests that homes and businesses should be accessible to people with a variety of disabilities. Architects and interior designers are working to create floor plans for the home that include wide doorways, entrances with ramp access and appliances and fixtures that are within reach of persons in wheelchairs. More and more homes are incorporating elements of universal design to increase access for people with a variety of mobility issues. In Focus with Martin Sheen is planning on airing the pieces later this year. In Focus with Martin Sheen can be reached through the show's official website at infocusptv.com or on Facebook at facebook.com/InFocusMartinSheen for more information. Born with the inability to see color, Neil Harbisson wears a prosthetic device -- he calls it an "eyeborg" -- that allows him to hear the spectrum, even those colors beyond the range of human sight. His unique experience of color informs his artwork -- which, until he met cyberneticist Adam Montandon at a college lecture, was strictly black-and-white. By working with Montandon, and later with Peter Kese, Harbisson helped design a lightweight eyepiece that he wears on his forehead that transposes the light frequencies of color hues into sound frequencies. Harbisson's artwork blurs the boundaries between sight and sound. In his Sound Portraits series, he listens to the colors of faces to create a microtonal chord. In the City Colours project, he expresses the capital cities of Europe in two colors (Monaco is azure and salmon pink; Bratislava yellow and turquoise). "Conclusively, this project exists not in the software, or domain of so called 'virtual' reality, but in the reality of Neil's perception of the world, unveiling, quite literally, an invisible architecture of energy." As propostas para a realiza? ?o do "Estudo de Demanda do Turista com Deficiência" podem ser apresentadas até 10 de setembro noportal da Unesco. A iniciativa é do Ministério do Turismo (MTur) e da Secretaria de Direitos Humanos da Presidência da República (SDH) para estimular o desenvolvimento de a? ?es conjuntas que fortale?am o turismo acessível no Brasil. O objetivo é levantar informa? ?es que identifiquem as características, comportamentos de consumo e necessidades desse público. O trabalho também possibilita conhecer a percep? ?o desse segmento em rela? ?o à infraestrutura e ao atendimento nos destinos turísticos, além das barreiras para a realiza? ?o de viagens. A proposta é disseminar essas informa? ?es na cadeia produtiva do turismo e sensibilizar gestores públicos e privados para a adequa? ?o dos servi?os oferecidos ao turista com deficiência. O projeto ainda vai contribuir para a ado? ?o de medidas em busca do cumprimento da Conven? ?o sobre os Direitos da Pessoa com Deficiência, no que se refere à participa? ?o dessa popula? ?o em atividades culturais, recreativas e esportivas. No ambito do MTur, s?o apoiadas iniciativas de acessibilidade urbana, de adapta? ?o de atividades turísticas e dissemina? ?o de informa? ?es sobre o tema. A Call for Proposals to study the profile of travelers with disabilities was issued by Brazil's Ministry of Tourism and the Human Rights Secretariat of the Presidency to stimulate the development of joint activities that strengthen the inclusive tourism in Brazil. Proposals to execute a "Study of Tourist Demand of People with Disabilities" may be submitted until September 10 at the UNESCO portal. The goal is to gather information to identify the characteristics, behaviors and needs of the consumer public. The work also enables analysis of this segment in relation to infrastructure and service at tourism destinations. The proposal will be used to disseminate findings to the supply chain of tourism as well as to sensitize public and private managers on the adequacy of services offered to tourists with disabilities. The Tourism Ministry has various initiatives on urban accessibility, adaptation of tourist activities and dissemination of information on the topic. With Paralympic athletes competing in London this week, the designers at Priestmangoode took the opportunity to rethink air travel for passengers with reduced mobility (PRM). 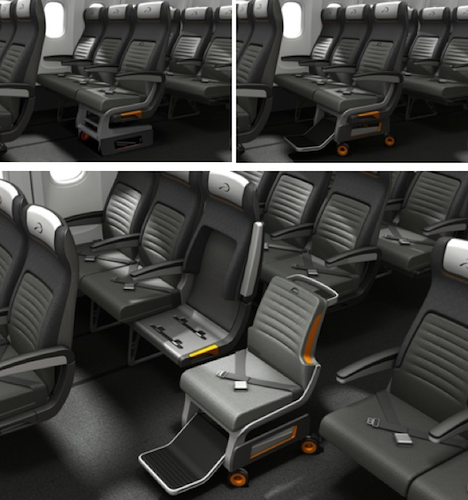 The Air Access concept contains two elements: a wheelchair that can transport passengers onto and off the plane, and a fixed-frame aisle seat on the aircraft which can be mated to the wheelchair to create a regular airline seat. Access to and from an airplane seat can be an awkward experience for any traveller, but when David Constantine, co-founder of international development organization Motivation, gave a talk at the Priestmangoode offices, the designers decided that something needed to change and that mobility challenges for PRM should be addressed. With over 15 years experience designing aircraft interiors, Priestmangoode is especially interested in the passenger journey--we've written about their Moving Platforms concept focused on getting people to their final destinations more seamlessly and if you've recently been in-cabin on Turkish Airlines, Lufthansa, SWISS, Kingfisher, Qatar or Malaysia Airlines you'll be familiar with their work. "As more members of the baby boom generation, which comprises the largest segment of America's population, reach retirement age, many of them show a preference for aging in place, in their own homes rather than moving to traditional assisted living communities," said ERA Justin Realtor professional Fara Espandi. "This trend has created more interest in the designing and retrofitting of homes for maximum ease of use. Heightened awareness of the needs of disabled people of all ages, and increased legislative attention to their rights, including the Americans with Disabilities Act (ADA), has also helped drive a trend which can benefit all homebuyers." What has come to be called 'Universal Design' is a set of standards for making every house a welcoming home for inhabitants of all ability levels. VisitEngland, the official travel promotional agency for England, has released a new online guide for travellers with reduced mobility, to coincide with the commencement of the 2012 London Paralympic Games. As well as offering a warm welcome to the participants in, and visitors to, the Paralympic Games, the new 'Winning More Visitors' online guide is designed to provide access information for visitors to the country that have reduced mobility. Previously, a survey conducted by the agency reported that around 83 percent of people with reduced mobility had searched for access information online to plan a trip to their favoured destinations, and around 3 percent of them finally managed to locate the information they required. The research also reported that around 74 percent of people with access needs are likely to prefer visiting a destination that offers the best assistance. The online guide contains travel-planning tools, with details of available transportation, parking space with access options, information on geography from an accessibility point of view, a list of accessible tourism venues including accommodation and attractions, and other relevant information. The idea of creating a comfortable home is not a new one. As we age it certainly makes sense- as it does throughout a lifetime. And it is possible seamlessly to incorporate accessibility features into our homes- with just a bit of thoughtful planning-so important when you desire the results to be both stunning and functional, and to work for every stage of life. Aging-in-place is a much touted choice these days, and universal design elements incorporated into living spaces support that choice. In this article, you will find descriptions of the Energy Efficient Universal Design Elements you may desire consider of you choose to age-in-place (as we call it, Age-in-PALACE? -to stay in your own home. These elements, in addition to being beautiful, and functional also can provide cost savings. The Consumer Electronics Association (CEA) is accepting entries for the International CES Innovations 2013 Design and Engineering Awards through Sept. 14, 2012. Awards will be accepted for Home Appliances and in 28 other product categories. The 2013 Best of Innovations Honorees will be announced Nov. 12, 2012 at the association's New York Press Preview and will be showcased at the 2013 International CES. 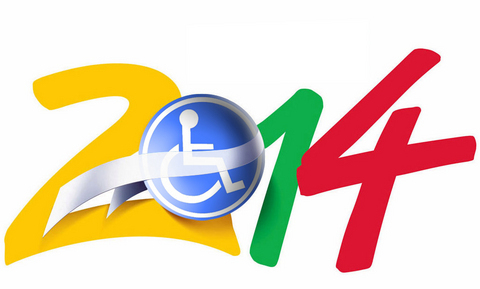 Two new product categories in 2013 are Tech for a Better World and Accessible and Universal Design Technologies. Tech for a Better World recognizes technologies that share a common goal and the ability to impact the world in a positive way, either domestically, or around the globe. Accessible and Universal Design Technologies focuses on technologies that have innovative features that enable ease of use by anyone, including, but not limited to, seniors and people with disabilities, regardless of cognitive ability, hearing, mobility, visual or other impairments. The next biggest movement in home design is implementing features that improve accessibility. Twenty-five percent of America's population of more than 300 million are Baby Boomers - people born during the post-World War II years of 1946 to 1964. The last of the Baby-Boom population will reach age 65 in the year 2029. By that time, the Baby-Boom population is projected to be only about 16 percent of the total population. According to the U.S. Census Bureau, by 2030 there will be 70 million Baby Boomers over the age of 75. The median age will increase from 35.5 in 2000 to a peak of 39.1 in 2035. As the Baby Boomers age, home design will need to adapt. Twenty percent of home builders expect new construction to embrace aging in place with more universal access in new homes, reports the NAHB. Both the AIA and NAHB note that age-friendly features don't have to be institutional. Simple changes like grab bars, floating vanities that allow for wheelchair access and wider doorways make a big impact on accessibility. One of the biggest changes in design noted by the AIA comes in the way of showers. "Curbless" showers that are easily accessed by those with limited mobility are finding their way more and more into homes. Another trend in home showers are doorless showers or "wet bathrooms." Rather than create a separate shower unit, more homes have showers without doors that blend seamlessly into the space. And while many of these features are green in nature, the survey also found that people still like comfort and convenience. Radiant heated floors scored high as well as linen/storage closets. Are you preparing for 3 December 2012? The theme of this year's commemoration is: "Removing barriers to create an inclusive and accessible society for all". Barriers can take a variety of forms, including those relating to the physical environment or to information and communications technology (ICT), or those resulting from legislation or policy, or from societal attitudes or discrimination. Based on this theme, sub-themes can be selected to help remove barriers in areas such as education, employment, transportation, travel and tourism or sports. Choose your own sub-theme, so as to address a specific issue of exclusion and accessibility in your community and let us know about it. The Economic and Social Commission for Western Asia (ESCWA) published a pamphlet on ?Managing change: Mainstreaming disability into the development process? in both English and Arabic. Porto Alegre deve ser cidade referência no Brasil em acessibilidade entre as capitais-sede da Copa do Mundo de Futebol 2014. A condi? ?o para tanto já existe e pode ser consolidada na Reuni?o dos Conselhos Municipais e Estaduais e Gestores Públicos das Cidades-sede da Copa do Mundo de 2014, diz o secretário municipal Tarcízio Teixeira Cardoso, de Acessibilidade e Inclus?o Social, que representará a capital gaúcha na programa??o. O encontro acontece em S?o Paulo, de hoje a 18, no ambiente da ReaTech, IX Feira Internacional de Tecnologias em Reabilita? ?o, Inclus?o e Acessibilidade. O convite da Uni?o a SEACIS inclui participa? ?o na abertura do Encontro Nacional de órg?os Estaduais e das Capitais Brasileiras Responsáveis pelas Políticas Públicas para as Pessoas com Deficiência e na palestra sobre o Programa Nacional de Direitos Humanos III (PNDH-3) e as Pessoas com Deficiência, de Paulo Vannuchi, Ministro-Chefe da Secretaria de Direitos Humanos da Presidência da República, com a participa? ?o dos Conselhos Municipais e Estaduais e Gestores Públicos das Cidades-sede da Copa do Mundo de 2014. Representante da primeira capital brasileira a concluir um Plano diretor de Acessibilidade, atualmente em exame na Camara Municipal de Porto alegre, o secretário Tarcízio Cardoso participara da Apresenta? ?o nacional do Plano Diretor da Campanha da Acessibilidade, porDenise Granja, presidente do Conselho Nacional dos direitos da Pessoa com Deficiência - Conade, e José Antonio Lanchotti, conselheiro nacional da Pessoa com Deficiência. Como um dos redatores do documento, Tarcízio Teixeira Cardoso também participará da avalia? ?o do Plano de A? ?o da Década das Américas pelos Direitos e Dignidade das Pessoas com Deficiência 2006-2016, estudo a ser introduzido por Izabel de Loureiro Maior, subsecretária nacional de Promo? ?o dos Direitos da Pessoa com Deficiência da Secretaria de Direitos Humanos da Presidência da República, e moderado por Flavia Maria de Paiva Vital, coordenadora-geral de Informa? ?o e Comunica? ?o da Subsecretária Nacional de Promo? ?o dos Direitos da Pessoa com Deficiência da Secretaria de Direitos Humanos da Presidência da República. An online survey on promoting the empowerment of people was launched by DSPD/DESA to help promote the priority theme selected by the Commission for Social Development for 2013 and 2014. DSPD has also piloted a new project called United Nations Social Development Network (UNSDN) to share knowledge and good practices among social development professionals worldwide on ageing, civil society, cooperatives, disability, employment, family, indigenous peoples, poverty, social integration, technology and youth. The fifth session of the Conference of States Parties will be held from 12 to 14 September 2012 at UN Headquarters in New York. This year?s Conference will focus on women with disabilities, children with disabilities and technology and accessibility. Prior to the convening of the Conference, a Civil Society CRPD Forum will be organized on 11 September by the International Disability Alliance (IDA) with the support of DESA. The Forum will provide an opportunity for NGOs, DPOs (organizations of persons with disabilities) and others, to coordinate their involvement in the Conference of States Parties and in the preparatory process for the High-level meeting of the General Assembly on disability and development to be held on 23 September 2013. UNICEF will host a Global Partnership Forum on Children with Disabilities in the afternoon of 14 September. More information:http://www.un.org/disabilities/default.asp?navid=46&pid=1595. We often talk about Inclusion vs Access. Here is a stark contrast. 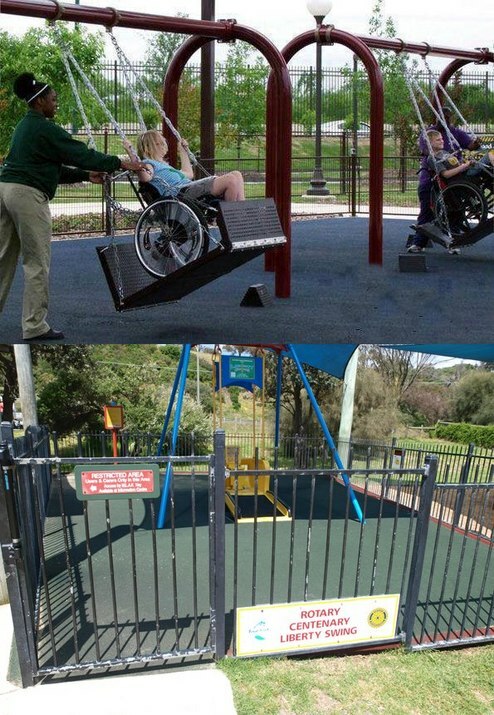 An inclusive playground environment with wheelchair swings and another example of a "special" facility complete with restricted entry sign. What sort of message does that send? The sad thing is that groups like Rotary think they are doing the right thing. I recently went to the local book fair and picked up some books on organization. The first book I'm going to read through is called Complete Home Storage (Sunset Book). As I flipped through some of the chapters, I decided it might be helpful to blog about the new things I've learned regarding ways to organize. Why? 1. I want to learn more ways to organize based on making things functional and that work with the concepts of universal design. 2. I feel like there are multiple ways to organize spaces and this book gives many examples on different ways to do so. 3. I don't have a ton of money to buy lots of storage items and containers. Through mypinterest boards and this book listed above I'd like to showcase great ideas to organize on a budget that suits different styles. Welcome Home: Universal Design, Sustainable Design, and Baby Boomers. Michael Berens, director of Research and Knowledge Resources for the American Society of Interior Designers (ASID) will deliver a presentation on design for Baby Boomers, titled Welcome Home: Universal Design, Sustainable Design, and Baby Boomers. The session will present the results of a nationwide survey to prioritize the features of home design important to prospective buyers within the baby boom generation. The survey outcomes are to be used as the programmatic basis for studios for architectural, planning, interior, and industrial design students and professionals to design dwellings within an intergenerational neighborhood. When it comes to making spaces accessible, the devil is in the details. ABX will feature an interactive exhibit revealing these details, including two ramps, toilet rooms, and kitchenettes, meant to look identical to one another. One will be universally designed and easy to use, while the other will have common design errors (sometimes quite subtle) making it difficult or impossible to use. ABX attendees are encouraged to navigate through the space with a wheelchair, scooter, crutches, or a cane -- all will be provided. They will be assisted by volunteers with (real) disabilities and members of the BSA Access and Design for Aging committees, who will both ensure that attendees are safe, and can explain the design distinctions that make one side much more user-friendly than the other. Ideas for how you can discuss "The Power of We"
There are hundreds of examples you could choose from such as; fighting for healthier meals for kids in schools, protecting people's rights in countries far away, stopping practices in industries that hurt the environment and communities, challenging authorities to listen and act for the people. The team at Blog Action Day can't wait to see what you all blog about and we really hope that you enjoy taking part in Blog Action Day on October 12, 2012. Rather, it's about seeing your disability(ies)--both the positive and challenging aspects--as part of what makes you unique, and choosing to define yourself on your terms. (Similarly, who's to say that life without a disability is always a piece of cake?) It's also important to remember that "disability" is not always something physical or obvious. Anyone, whether they identify as quadriplegic, deaf, autistic, blind, emotionally variant, as someone with an intellectual/developmental disability--or any other identity, including nondisabled/able-bodied--is welcome to join the DCC in engaging with the idea of disability as culture, pride, and identity. Certain disability cultural subgroups will deliberately capitalize the first letter of the label they use to identify themselves. This is done to show a sense of connection to the larger community of people who identify in this way, rather than just describing a "condition." The American Deaf community is one group that is known widely for doing this; other examples include some people identifying with the Autistic and Blind communities. Similarly, some people with disabilities may identify themselves using terms that some might consider to be offensive, such as "crip," "gimp," and "mad." This is often done as a way to show pride in one's identity, and to "reclaim" words that have traditionally been used to demean people whose minds or bodies varied from the "norm." This is similar to how some individuals have reclaimed the word "queer." However, these terms can, at times, still have derogatory meanings, especially if used by people outside of an "in-group" of those who choose to identify themselves in these ways. Holidays for blind or visually impaired people, and sighted travellers (who get substantial discounts) can be booked through Traveleyes (08448 040 221, traveleyes-international.com). Itineraries include six days in Edinburgh and Skye, for ￡799pp (￡199 sighted travel assistants), two weeks in Brazil and Argentina (￡3,399/￡1,999 including flights), a tour of Kerala, India, or of Vietnam, or to hear the best music in the US's deep south. Blind bloggers to read include Tony Giles (tonythetraveller.com), and Canadian Ryan Knighton, who wrote a great piece for the Observeron his trip to Cairo (ryanknighton.com). Whitestick.co.uk collates useful websites with holiday ideas for blind travellers. For advice about air travel and travelling with guide dogs, visit direct.gov.uk. Netbuddy (netbuddy.org.uk) helps carers and families travelling with someone with learning difficulties to plan a break, from accommodation to independent activities, with personal recommendations and tips. TheDisability Holidays Guide (disabilityholidaysguide.com) lists all sorts of trips, from city stays and beach holidays to respite breaks. Earlier this year, this paper ran a story about Seahorses, a B&B on the Isle of Wight run by people with learning difficulties, for learning-disabled and mainstream guests. For information and reservations: 01983 752574, seahorsesisleofwight.com. According to Abta, under European law (regulation 1107/2006), all passengers who have a disability can receive assistance when they fly, free of charge. For information visit abta.com. The first responsibility of government is to its individual citizens. Individuals also associate by birth or choice. These associations cluster needs to form civil society (family, race, language, church, NGO, union, business.) Government has responsibility to civil society as representative of individuals. Thus government responsibility goes beyond healthcare and social. Government responsibility includes designing social, physical, information, and policy environments designed for the intentional sustained inclusion of citizens with the broadest range of capacities operating under the broadest range of circumstances. The full range of the rights of persons with disabilities was captured by the United Nations in the document "Convention on the Rights of Persons with Disabilities" (CRPD). Article 30 of the CRPD establishes rights beyond mere survival and subsistence. Article 30 makes explicit the right to sports, leisure, and tourism. Thus the United Nations CRPD Article 30 speaks to governments about their unique obligations to their citizens with disabilities in relation to major sporting events as leisure, sport, and tourism. In such events public space and financial resources are spent in ways that must result in an infrastructure and cultural legacy that is accessible and inclusive. In the case of Brazil CRPD Article 30 directs Copa 2014 and Rio 2016 to be accessible and inclusive to both spectators and participants but what of the practical realities of prioritizing citizens over foreigners? In practical terms are there any elements of Copa 2014 or Rio 2016 planning and implementation where effective action providing accessibility and inclusion of foreign guests with disabilities does not also provide the same for citizens? There is an almost perfect convergence of the needs of domestic and international tourists with disabilities for Copa 2014 and Rio 2016. Where relative prioritization of tasks differs citizens should come first. However, be aware that the long term income possible from the accessibility of foreign tourism is a strategic resource available for maintenance of the accessible infrastructure required by citizens. United Spinal Association presents the 2012 Independence Expo-Orlando for people with disabilities of all ages, exploring health, mobility, work, travel, and recreation. The Independence Expo-Orlando is free and open to the public. It will be held on Friday, August 24th & Saturday, August 25th at the Marriott World Center in Orlando, Florida. "Explore Your Abilities" is this year's theme.The Expo will also offer wheelchair sports and cooking demonstrations. Able to Travel accessible travel agency will provide attendees support in planning the vacation of their dreams, including accessible trips to Israel, Galapagos, Ireland and the Amazon, as well as a host of wheelchair-friendly Caribbean Cruises. Walgreens will provide free blood pressure screenings, measuring of body mass index and counseling on any medication questions. Permobil will showcase its latest line of mobility products. The National MS Society/Mid Florida Chapter will share resources and advocacy tips. UsersFirst will offer strategies and resources for people with disabilities. Canine Companions for Independence will introduce attendees to some of their highly trained and lovable assistance dogs. Register at http://www.independenceexpo.org/ or by calling toll free 800-404-2898. Attendees are automatically entered in a free raffle drawing to win many great prizes held throughout the 2-day event. Expo doors open 10 a.m. on Friday and 11 a.m. on Saturday. Jessica Chrysler was hired to be a photographer for The Picture People in 2007. Hiring managers were aware that she was deaf before she was hired. In order to communicate with customers, she wrote notes to them, the same manner in which she'd interviewed for the position. The company found her note writing to be "cumbersome and awkward" for the customers, moving her to the lab where her hours were cut significantly and she ended up leaving her job. Shortly after, the EEOC sued the company for not fully accommodating Jessica. Surprisingly, the District Court sided with The Picture People, asserting that oral communication was paramount to the function of the position that was held. Even after appealing this notion, the EEOC's claim was still denied on the same premise that studio personnel must be strong in verbal communication. This decision speaks volumes regarding our current laws governing the workplace. When I retired Jan. 1, 2007, I was looking forward to many years of fun activities and travel. For the first three years, I was realizing that dream. Then I was admitted to a hospital, critically ill and diagnosed with myasthenia gravis. That first admission lasted a month. Since then, I have been an inpatient two more times. It has been tough going, but I have graduated from being totally unable to walk to a rolling walker. Myasthenia gravis is an autoimmune neuromuscular disorder that causes weakness of the voluntary muscles. I've learned a lot about this disease and how to live with it, and in the process have become schooled in the challenges that people with limited mobility have to cope with on a daily basis. When I think about going out, whether to the grocery or a concert, I have to think through the process from beginning to end to make sure I am not going to encounter a challenge that I cannot overcome. I can tell you that at times it is frustrating for one with my independent nature. Station improvements to make three stations on one of London's main Olympic rail routes more accessible for the Olympics and Paralympic Games have been completed. Camden Road and Gospel Oak stations now have two new lifts, to carry passengers between street level and the platforms. At Hackney Central, two new lifts have been installed from the existing footbridge. All three projects have been funded by the Department for Transport's Access for All programme, which aims to make travelling by train easier for everyone, especially those with reduced mobility, those with young children or people with heavy luggage. Dave Ward, Network Rail's route managing director, said: "'The improvements made at these three stations will make them accessible for all and is part of a wider programme to build a bigger, better railway. Thousands of spectators travelling on this line will reap the benefits of these improvements during the Games and for years to come." The Boston Museum of Science is taking a unique approach to enable its exhibits to become more accessible to people with special learning needs. In an exclusive interview, Anna Lindgren-Streicher, Project Manager, Research & Evaluation, spoke about the path the museum has taken over more than 25 years to enable people with disabilities to enjoy the museum. "The museum began designing exhibits to be handicap accessible over 25 years ago," she said. "The first area that was addressed was physical handicaps." Betty Davidson, a museum volunteer turned exhibit maker, began designing natural history habitat exhibits with dioramas including tactile artifacts and manipulatives such as deer antlers that could be handled. She added audio descriptions and scent so visitors could experience more authentic exhibits. Over the last five to ten years the museum has actively addressed accessibility to learners with a wide range of disabilities, including autism, learning disabilities and cognitive disabilities. Advocates for people with disabilities say Metro's plans to make SmarTrip cards more accessible to riders by installing new vending machines at every rail station fall short in one crucial area: The new machines are not expected to be immediately accessible to all people with limited vision. The machines, which are scheduled to make their debut Sept. 1, have no audio feature. Riders who are blind or have impaired vision or those with cognitive impairments may find them difficult, if not impossible, to use, disability advocates said. "In this day and time I can't imagine how .?.?. the Metro system [is] purchasing things and then .?.?. installing them and paying for them and they are not accessible to everyone," said Denise Rush, who is blind and serves on Metro's Accessibility Advisory Committee (AAC). "It is not acceptable. It is ludicrous." You (or someone from your institution) is invited to attend a free, one-hour online workshop on Universal Design for Public Programs. The workshop will be Tuesday, August 21st, 1 - 2 pm EDT. The workshop will focus specifically on the NISE Net's Universal Design Guide for Public Programs. Workshop facilitators will give a brief introduction to the guide, look at some examples of universal design in programs from the NISE Net catalog, and will have an expert advisor on hand to answer questions. If you are interested in learning more about developing or implementing public programs (such as interpretation carts, stage demonstrations, and science theater) that are inclusive of the wide range of museum visitors, including those with disabilities then please join us. See the attached brief agenda for more detail. We're also testing out using the Adobe Connect online platform for short web-based trainings and conversations. This is a bit of an experiment, and we'll be interested in hearing your take on the system! 1:30 - UD Programs Concept 2 - Make multiple entry points and multiple ways of engagement available.